Have you arrived at Abbey Turf after searching for “mulch supplier Winchester” online? You are definitely in the right place. With nearly three decades of experience behind us, we are ideally placed to be your one-stop shop for mulch and turf. To get a free quote and find out more about our delivery options, call us today on 02380 812 302! Looking for a Winchester mulch supplier? Welcome to Abbey Turf – the leading mulch supplier Winchester can always rely on to deliver quality products quickly. There are numerous advantages to using mulch in your garden area that will make it look far more attractive and well-maintained. One of the leading benefits of mulch is its great ability to retain moisture within the soil. Our organic mulches will break down over time and, thereby, contribute to the health of the soil. This is helpful for property owners – especially if your soil fertility is somewhat poor at the moment. Our mulch supplier in Winchester would be happy to discuss your requirements with you. 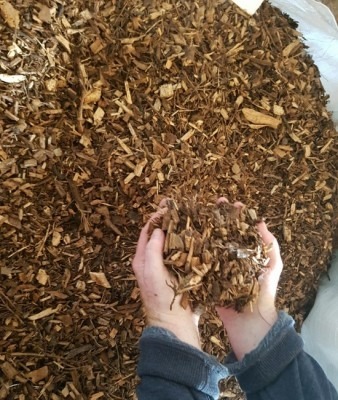 The product provided by our mulch supplier Winchester has come to know and love, will also help with weed control and the reduction of winter injury. Further benefits include erosion protection as well as safeguarding against mechanical injury from lawnmowers. Mulch also does a great job of repelling ticks and fleas. If you are not completely sure whether mulch is the best option for your garden, get in touch with Abbey Turf! Our Winchester mulch supplier would be happy to listen to your requirements and help you determine the most appropriate course of action for achieving your objectives. Here at Abbey Turf, we specialise in providing high-quality turf, mulch and landscaping services across the South of England. A wide range of customers hire us as their Winchester mulch supplier because they know they can rely on our products and solutions. Domestic, commercial and trade customers alike can enlist our services. From being the choice mulch supplier Winchester homeowners trust to providing high-quality turf to local golf clubs, we really do it all. With 25 years of experience to draw from, our family operated business has gone from strength to strength since its founding and continues to expand. We started with 10 acres and a vision. Our worksite has now expanded to a 180-acre site that is dedicated to growing the highest quality seeded turf available. Whether you’re an existing customer or a potential one, we would recommend that you take some time to browse through the rest of our easily navigable website. You will be able to read more about our history, services, and what makes us the number one choice of mulch supplier Winchester residents have come to know and love. Our image gallery has a wide selection of pictures to view of our team hard at work doing what they do best. You can also get a closer look at our mulch and the way it’s delivered when you choose us as your mulch supplier in Winchester. Send your mulch supplier Winchester enquiry over to us today by filling in our contact form, e-mailing info@abbeyturf.co.uk or calling 02380 812 302!